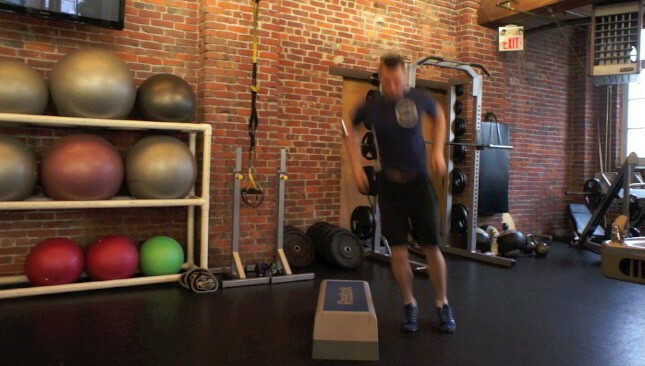 The lateral box jump is a beginner level plyometric exercise. Stand beside the step or box. 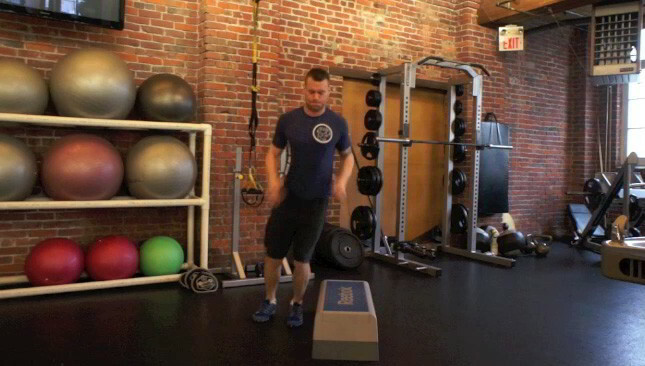 Jump up and over the step making sure both feet leave the floor and land at the same time. 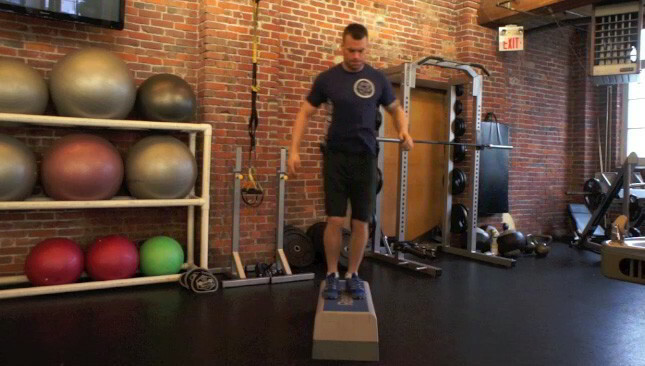 Jump over to the other side and repeat for time or reps.